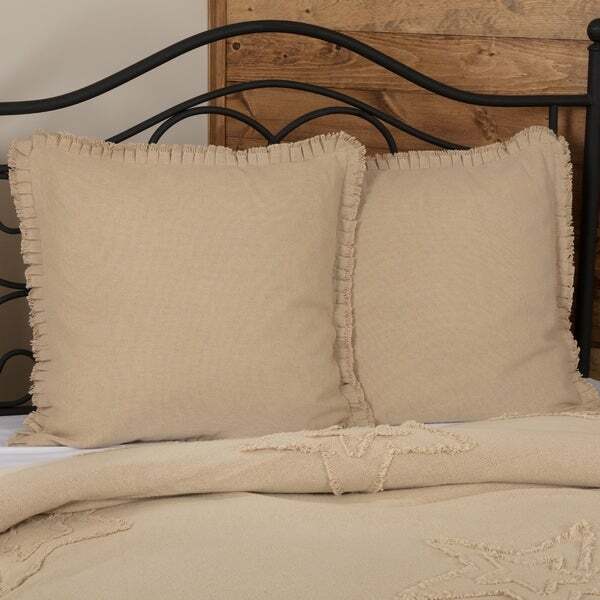 These burlap euro shams are a lighter burlap color, more of a cream. Also, they're softer than regular burlap and not as scratchy. You may want to get inserts that are 28" to fill them up. I was torn on what pillows to get with my bedding. These look great with it!